Specialists in all aspects of design, from redecorating through to complete renovation, Callender Howorth has been a market leading in Central London interior architecture for over 20 years. Whether redesigning commercial office spaces or overseeing a complete overhaul of a townhouse, our experienced team of knowledgeable Central London interior architects work tirelessly to exceed the expectations of our clients. We seek to optimise a space both aesthetically and with regards to functionality, while demonstrating a responsible attitude toward financial control. 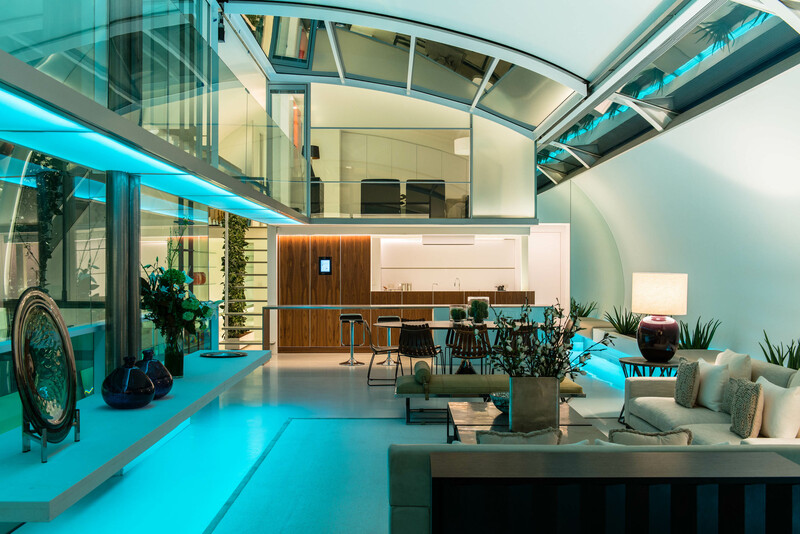 Browse our portfolio of Central London interior architecture projects; a member of our team will be happy to come to you to discuss your design needs. Our Central London interior architects offer a wealth of experience in designing homes and office spaces for discerning clientele. Set in the exclusive area of the Boltons, the Kensington House project was entirely transformed from a dilapidated townhouse to a 5-storey luxury home. Untouched in over 30 years, the building was in desperate need of an interior architect’s touch. We certainly fulfilled the brief, which was to create a family home with a chilled vibe. The Knightsbridge Penthouse project, which is located with close proximity to Harrods, demanded a salvaging of a design catastrophe. 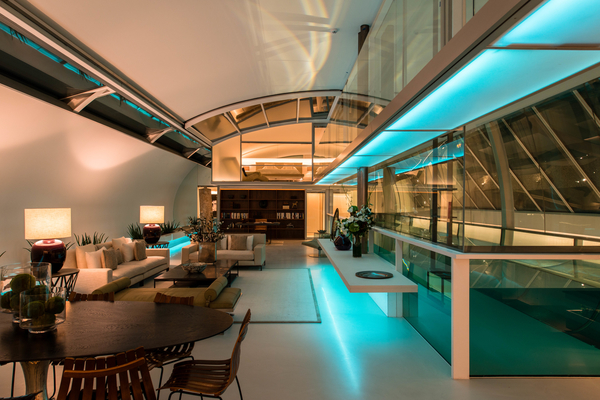 We used the latest gadgetry, such as hidden wine fridges and wireless music systems to bring this great space to life. 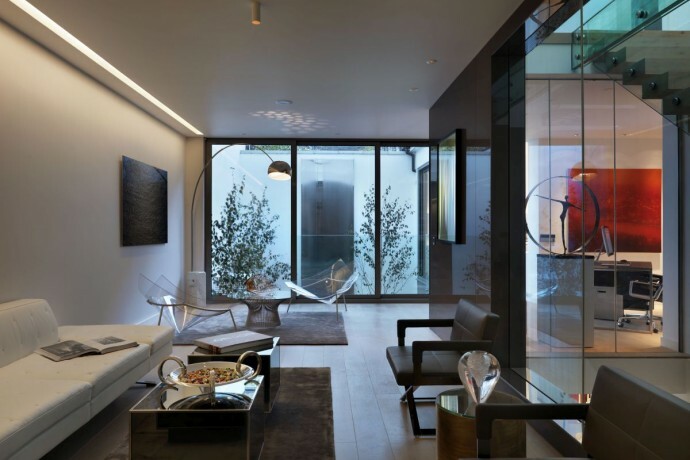 The Mayfair Mews House Project remains one of the most versatile projects we have undertaken. From the outside, the property looks traditional and in keeping with its surroundings, yet on the inside, the contemporary interior evokes the feel of a more modern property, much to the delight of our client. Central London has no single architectural style; instead, it is a multifaceted place that has benefitted from various influences throughout recent history. Most buildings, with the exception of the Tower of London and Westminster Abbey, were built after the great fire, yet numerous architects have characterised the city in the time since 1666. From The Houses of Parliament, Eaton Square, and Wilton Crescent, to The Shard, the Grosvenor Estate and the Victoria & Albert Museum, the architectural style of Central London has changed dramatically in a relatively short space of time. This is what makes the area so appealing to Central London interior architects, who each vie to leave their mark. There is a range of museums and exhibitions that make Central London one of the richest cultural hubs in the world, incorporating many different displays of various histories and art forms. Visiting institutions such as the Royal Court Theatre, The London Transport Museum, The British Museum and the Tate leaves one feeling inspired. Meanwhile, The Jazz Lounge at The Wellesley is an exhibition of all that is British, and should not be missed. The Central London hotel merges fine jazz with even better interior architecture. As Samuel Johnson famously said, ‘when a man is tired of London, he is tired of life.’ This outlook is certainly predicated on the wealth of entertainment that everyday life in the city can produce, yet the restaurants, nightclubs and attractions that offer such appealing ways to pass the time are multiple and fantastic, and really bring the city to life: Harvey Nichols, Boisdale, Ametsa with Arzak, Bar Boulud, The Orange public house and hotel, Amaya, Kouzu, Dinner by Heston Blumenthal, Petrus, Pont St and Fifth floor, to name but a few. Why do you want to live in Central London? Which famous residents live there? Central London is a fantastic place to live, whether you are raising a family, working in the city or simply enjoying the fast-paced life of a cosmopolitan metropolis. Families benefit from great schools, such as St Benedict’s, and numerous parks, including Hyde Park, Regent’s Park, The Royals Parks and Kensington Gardens. You’d be in fine company – Tim Burton and Helena Bonham, Gwyneth Paltrow and David Beckham all call Central London home. Please contact our team of Central London interior architects to discuss your requirements. Complete design, build and project management service in Central London. Over 20 years’ experience designing award winning homes. In house Stylists that source the latest and most exciting products globally. Leaders in smart home technology and the latest “must have” audio visual elements for the home. Dedicated Project Managers that ensure all projects are to budget and on time.